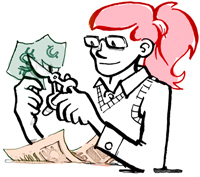 I want to wrap up my Valentine’s posts by giving a little recap into my big surprise for my boyfriend George. Over the past couple weeks I made two dozen Valentines, each with a cutesy little slogan on it (see here and here for previous posts on the Valentines). I decided I was going to stash these notes throughout my boyfriend’s apartment, so he could find them throughout the day. 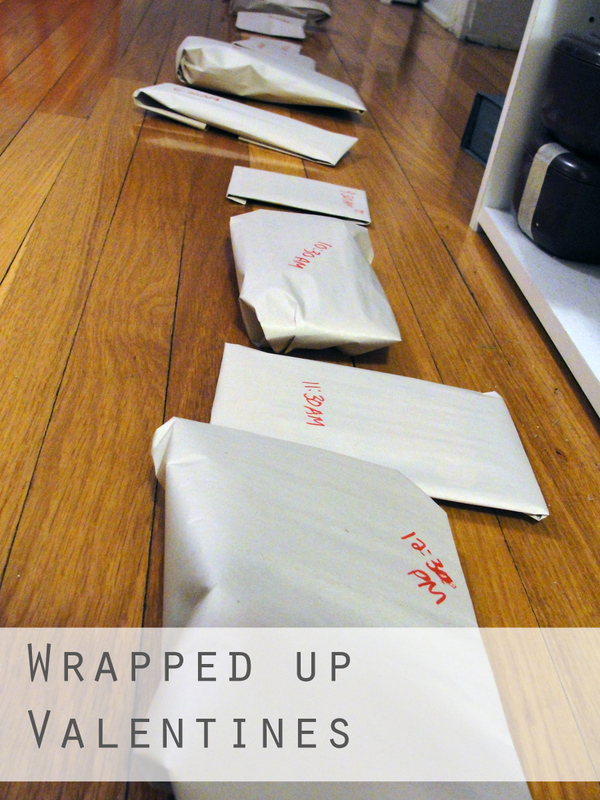 I wrapped each one in plain newspaper. 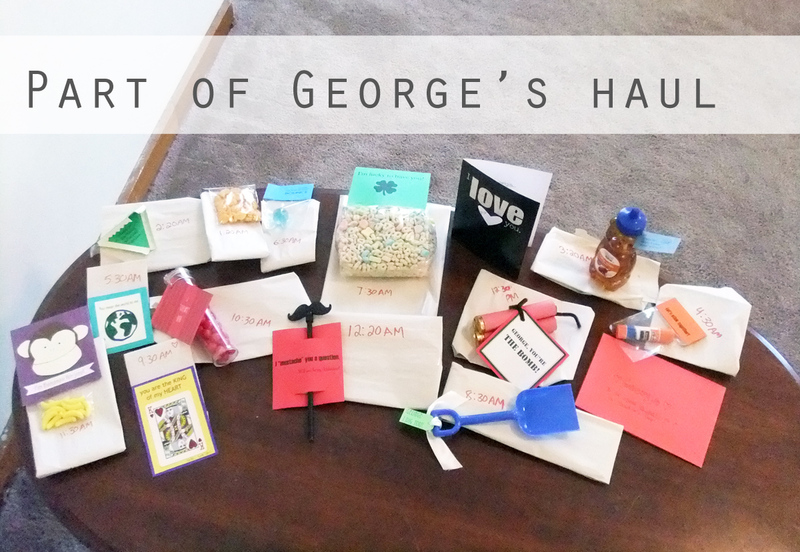 This was just in case George stumbled upon the note before I wanted him to find it—at least it wouldn’t all be given away! My plan was to have one Valentine for each hour, so I marked a time on each wrapped package. One evening early this week when he was out for a couple hours, I hid all 24 Valentines in places he was unlikely to look, and kept track of each hiding place. 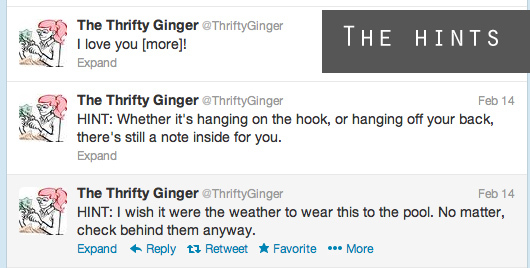 To give hints for each hour, I scheduled tweets on my new thriftyginger account. They started just after midnight on the 13th. To explain the whole situation, I gave a card to George on Wednesday night when we were hanging out. I wrote a sweet note about how I love him every minute of the day, but I wanted to show it every hour (aww…). I feel like a bit of a nutter when I tell people this master scheme for Valentine’s Day. Honestly, though, I’m just happy to show my significant other how much I care for him. George says now he has to step up his game. I don’t do these kinds of things because I want him to reciprocate, but if that’s the outcome, that’s all right by me! What did you do for Valentine’s Day? Did you keep it low-key, or have master plans like me?